We are excited to announce that we have teamed up with Joe Intravia, who has relocated to Seattle all the way from Missouri to head up our new home services department. Since leaving the Army, this veteran has spent his civilian career gaining experience working both solo and with a team to plan and execute various household repair and renovation tasks from foundation to rafters, and everything in between. He is excited to take charge and put these skills to practical use within an established company, and WSES are excited to be able to offer the non-electrical services our valued clients have long requested! As a doting husband and father of three (with one on the way! ), Joe has plenty of practice juggling multiple irons in the fire. This will be of great help with this new venture, as he will be taking charge of much of his own scheduling for walkthroughs as well as appointments for quick fixes and long-term projects. Joe’s focus is on household repair and small renovation work. This means a one-stop-shop for your carpentry, drywall work, flooring, and siding needs– and then some. New door needs hung? He’s your guy. Looking to get some rooms repainted? He can take care of that, too. Instead of calling a seemingly never-ending list of tradesmen, Joe can take care of most of your honey-do list* without batting an eye. *Please note, we are unable to offer HVAC or plumbing work at this time. We do, however, know some great folks in both specialties, and would be happy to put you in touch with them! Are you ready for the Tacoma Home and Garden Show? We at West Seattle Electric and Solar sure are! 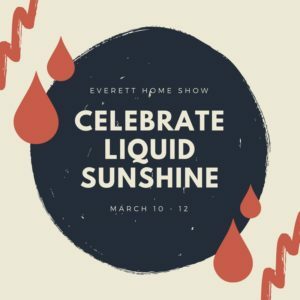 This is the largest combined home-and-garden show in the state, and we love it because every year it gives us an awesome opportunity to meet with people from all over Western Washington and beyond. Our owner and founder Keith Hughes will be in attendance Friday and Sunday, and our Project Manager Ryan Hughes we will be on hand at our booth all four days of the event to answer your solar and electrical questions face-to-face. Feel free to bring any building plans if you really want to get down to specifics! Or you can always fill out a profile card and we can call you to schedule a site survey at your home. Our Booth is 1436. There are so many exhibits to visit, you may need a couple days to see them all. Hours: Thur, Fri, Sat: 11 a.m. – 7 p.m. and Sun: 11 a.m. – 6 p.m.
Get your discount coupon here. Parking is free! Our friends at Spice Solar always have great information about the industry – this is one we thought we’d share: Commercial Energy Storage with Neil Maguire of Adara Power. The entire podcast is available on their website. For the past 15+ years companies have been installing PV solar systems to reduce their energy costs, measured in kilowatt hours (kWh). But solar systems only reduces a company’s energy costs — and many companies also get billed for peak power demand charges. These demand charges are measured in peak kilowatts (kW) per month, and can be as high as $15-$20 per kw peak per month. So if a company has a 200 kw peak demand and is on an electric rate with a $20 per kw demand charge, they would be paying $4,000 per month for their peak demand — in addition to their normal per kWh energy charges. In some cases these peak demand charges are 50% or more of a company’s total electric bill. Although a solar system does not significantly reduce these demand charges, a battery storage system does. These battery storage systems are designed to automatically discharge energy in the battery to reduce a company’s peak demand charge. In the example above, when the battery storage control system senses demand over 100kW — perhaps from machinery being started or the HVAC system turning on in the morning — the battery power is used to meet the next 100 kw of demand. The battery can then be recharged from solar, or even the grid. Not only does this combined solar and storage system reduce both kWh and kw costs, it can also provide emergency backup power if there is a blackout. These backup power capabilities are especially important for companies that are dependent on a consistent manufacturing process, or just about any company that requires power for credit card processing (retailers), communications (service providers) or refrigeration (convenience stores). To provide some real world background about currently available solar and storage systems, my guest on this week’s Energy Show is Neil Maguire, CEO of Adara Power. Adara is a Silicon Valley company that integrates battery and inverter technology with software to reduce peak demand charges, maximizes the value of net metering and provides backup power. There is no doubt in my mind that future commercial energy systems will be based on a combination of solar power and local battery storage. It’s time for the annual Northwest Remodeling Expo at the Washington State Convention Center in Seattle! This Friday, Saturday and Sunday, West Seattle Electric and Solar will be available to answer any and all your questions about your potential solar and electrical needs! Stop by and say hello to members of our team and get updates on all the solar news that’s fit to print. If you have specific electrical projects you wish to discuss with us, Project Manager Ryan Hughes will be in attendance Friday and Saturday. He will be available to give ideas, talk shop, and even go through your project plans! For your solar-specific inquiries, our founder Keith Hughes will be at the booth on Sunday. He will also be speaking at 12 p.m. Sunday, if watching a presentation is more your speed. We have digital tickets available for free. Contact us for yours today! Friday, January 5 ::: 12 p.m. – 7 p.m.
Saturday, January 6 ::: 10 a.m. – 7 p.m.
Sunday, January 7 ::: 11 a.m. – 6 p.m.
Good News: the state incentives have FINALLY been written, passed, reviewed by lawyers and given to the installers. Starting now through June 30th, 2018, depending on what brand of panel you buy, your state incentive rate will be either $.16/KWh or $.21/KWh through the end of the program in 2026. The rate goes down each incentive payment cycle (July 1 – June 30) until 2026. More Good News: Panel prices for both Solar World and iTek have come down! If you haven’t had a quote in a few months, please give Keith a call at 206-941-6654 or email him at keith@WestSeattleElectric and he will get you an updated one right away. Bad News: The State Sales Tax Exemption is expiring on September 30th of this year. If you are looking to install a solar system, and don’t want to pay state sales tax, your system has to be paid in full by September 30th. Any portion of the contract not paid by the 30th will have to be taxed. More Bad News: The panel manufacturers didn’t take the end of the exemption into account for their production numbers – panels are running out. New shipments are supposed to arrive sometime in September, but we don’t have a firm date yet. What does this all mean to you? If you have been thinking about installing a solar system, now is the time to do it. Rain, Rain, Go Away….We have a Planet to Save! Come see us at the Everett Home Show this weekend, March 10 – 12 at Xfinity Arena in Everett. We will have our newly redesigned Solar Trailer, complete with a battery set-up for you to see. Get your questions answered, find out what solar really costs and what the benefits are. Any yes, we get more than enough sun for solar here! Amy will be speaking on Sunday at 1:30 on the Seminar Stage. She will be explaining how and why solar works and taking you through the process of a customized site survey. For more information, please visit the show Website.